Who are the framed picture company? The Framed Picture Company are a leading manufacturer and seller of quality handmade picture frames based in Yorkshire. Their products are sold via an online portal that dynamically provides customers with an accurate image of their purchase as they change sizes, frames, mount colours and other aspects to suit their needs. What was the issue they asked us to solve? The Framed Picture Company wished to rebrand its website, add additional functionality, add new products and obtain key sales indicators with a view to increasing sales, improving efficiency and increasing profitability. A fully operational copy of the site was created on a separate domain utilising the live database with, when necessary, versions of data tables with the suffix _dev when database changes or dummy data was required. All major developments could then be created here before transferring to the live portal. The php code we were presented with had no comments, repeatedly reused variable names and had no semantic variable names. For example, every database query was $q and every result of a query was $r and these variable names could appear several times in the same file relating to different queries and result sets. This made finding procedures and code elements difficult at first. Comments and an internal development guide were developed to speed up the process when any changes are required. This remains a working document as any changes are made along with a simple changelog and version control. The existing processing of framed prints could not be easily adapted for a range of multi-aperture image templates. The key issue being that each image has to be positioned perfectly as the CMS produces the full size print for mounting and has to be pixel perfect. Elements of the existing system, such as the cropping functions were incorporated into a new framing, mounting and pricing process to incorporate the new product. A new data model was created and incorporated into the existing database to enable this. Around 7% of sales revenue comes from this product which is the greatest proportion of any product outside of the core single framed print. Enabling the full cropping and preview system to function and look good on small screens had its own problems. The full screen cropping system uses mouse functions so a simplified version with buttons has been created for smaller screens as has a smaller screen size for the preview system. Most clients want a product incorporating their own uploaded photographs rather than artwork supplied by the site, with around 96% of customers uploading their own images. As the site provides quality prints, the uploaded images need to be of high quality and, therefore, are of a significant file size. To ensure that the server load is maintained at a suitable level we have streamlined backup procedures, whilst maintaining sufficient backups, and enabled regular removal of old uploads. There has been interest displayed from a number of other businesses who provide a framing service that they outsource as using the Framed Picture Company would not only improve quality but also reduce cost. As part of this there have been requests for a brandable version of the site with limited products so that other companies can market it as their own. 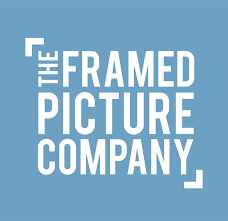 To this end film-framing.co.uk has been developed that fills this function and has a number of Fujifilm franchises on board as the first partner companies. Each of these has their own landing page that generates a fully branded customer experience from user interface, through emails to invoices. The Framed Picture Company are ambitious and creative with new product lines and innovative features in the pipeline. They also understand the importance of key metrics and the CMS is continually developing to deliver insights that have greatly improved stock control, informed decisions on product development and prompted edits to pricing. It is great to work with a client who understands how these changes can benefit their company and that the time to develop these changes is an investment rather than a simple cost. As a result, we have a monthly retainer package in place which can be increased if there is a specific major development that needs more time, as was the case with the development of the Film-framing portal. One additional feature of our retainer packages is that we do not tie our clients into a contract, we are confident that our service will be so good that clients will continue with the package.